We cooperate with a worldwide well-known clinic that employs only professionals with a great experience. Highly specialized personnel and hundreds of satisfied customers both from Europe and from around the world can testify that we guarantee services at the highest level. Our priority is customer’s satisfaction. That is why we put a lot of attention to high quality of services. Unlike in other facilities, our experts specialize in laborious, yet the most effective method, i.e. FUE. We carry out several FUE treatments every day. We specialize in comprehensive transplantation surgery with a focus on the highest thickness effect. Every patient is properly taken care of throughout the whole process of change. The most modern method, a minimally-invasive procedure. Hair transplantation by FUE (Follicular Unit Extraction) method is the process that follicular units (hair follicle bundle) in the region of the nape are taken one by one. This hair taken is individually transferred to bald areas. 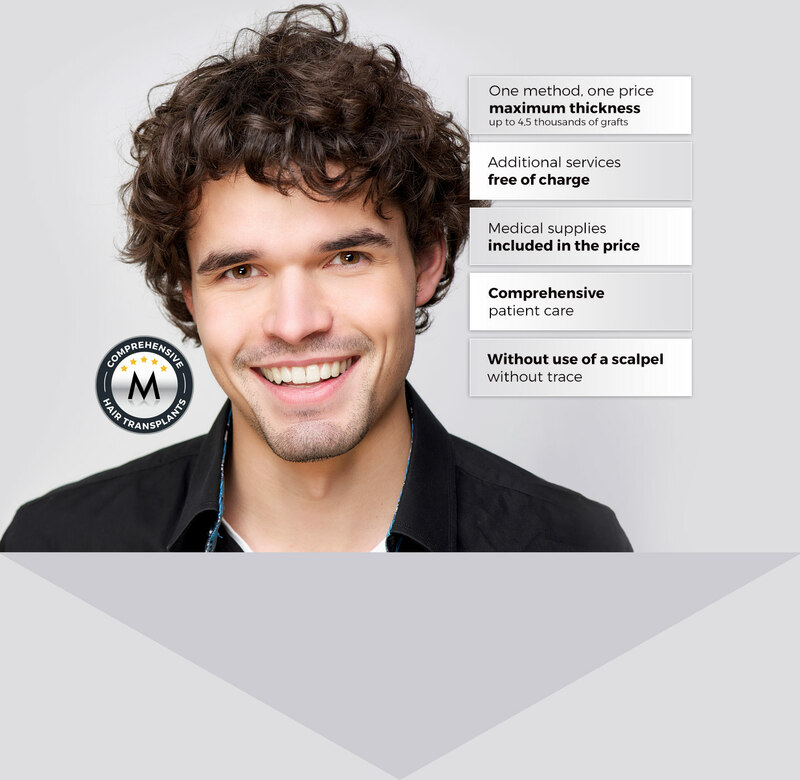 The biggest advantage of FUE is not to leave a trace and can be able to take 3000 in minimum and 7000 graft in maximum according to the density of region. FUE is an advanced, although a laborious technique that requires a lot of experience. The hair follicles, which will be suitable for transplant should be extracted with use of professional equipment capable of generating adequate pressure. Subsequent steps of this technique, i.e. the opening of the channels and placing of the follicles in the channels, require precision and time. Thus, this method is reluctantly used by clinics that prefer fast treatments using a scalpel. What does the treatment implementation process look like? From contact up to brand new hair. 2016-2017. Metamorphis.pl. All rights reserved.